Beginning our 25th Year of Preserving Family History! Where is Gaston County, NC? Where is Lincoln County, NC? Why not give yourself an early gift and renew your membership for 2014 today? "Marriage Bonds of Tryon and Lincoln Counties, North Carolina". He set about correcting that omission and has very kindly offered his work to GLGS for the website. "Marriage Bonds of Tryon and Lincoln Counties, North Carolina"
Check out this great map. 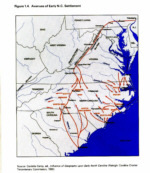 colonial roads, rivers & Indian trails. from the counties in our area of North Carolina. Have one you want to share? This book is now in stock! ...genealogists have visited our site since 29 June 2001. 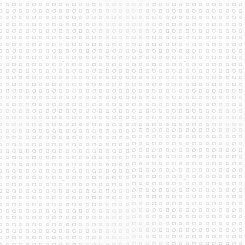 Need Soundex Code for your surname? Membership runs from January 1 through December 31. The society meets quarterly, at either the Gaston or Lincoln Library. Meetings are open to anyone with an interest in genealogy or history. 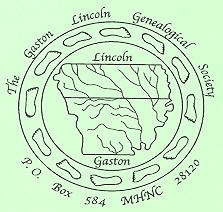 PUBLICATIONS Members receive a copy of Footprints in Time, the official publication of the Gaston Lincoln Genealogical Society, each March, June, September and December, and are encouraged to submit articles for publication. Members may submit unlimited queries each year to be used as space allows, at the discretion of the publication committee, for publication in the society bulletin, Footprints in Time. Queries may be edited. If you find yourself in our area stop by the Gaston County Museum of Art & History in Dallas, NC. Not only is this a wonderful place to visit, but the kind folks there have agreed to keep copies of our books on hand for you to purchase. Shipping & Handling: $5.00 - 1st Book, $1.50 each additional Book. *Shipping & Handling for these 3 books = $1.50 each. Please be patient with our volunteers and allow 4 - 6 weeks for delivery of your order as sometimes we may have to reprint our books especially for you. Note: From 1987 until 1998 our fiscal year was June 1 thru May 31, therefore our bulletins at the time covered two printed during the last half of the first year, and two printed during the first half of the second year. Example: Order 1987/1988 and you get our bulletins published September 1987, December 1987, March 1988 & June 1988. © Copyright 2001 Judith Parker-Proctor, All rights reserved.